An update to Vol. 3, pp. 852–855. The new excavations at Kebara Cave (1982–1990) were aimed at establishing the chronological boundary between the deposits of the Middle and the Upper Paleolithic, as well as dating the Middle Paleolithic sequence. 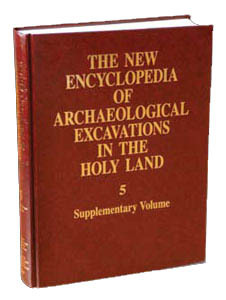 The excavations were conducted by O. Bar-Yosef on behalf of the Hebrew University of Jerusalem and B. Vandermeersch of the University of Bordeaux I. The observable stratigraphy and the nature of the sediments as seen through micromorphology were the means for achieving the first aim. Thermoluminescence (TL) and electron spin resonance (ESR) were the radiometric techniques employed in dating the Mousterian deposits, while the Upper Paleolithic layers were dated by radiocarbon. The discovery of a Neanderthal burial during the second season (1983) and its preliminary publication motivated further dating. The obtained results indicated that the Middle Paleolithic sequence lasted from 64,000/59,000±3,500 to 48,300±3,500 years, while the Upper Paleolithic layers (as the younger ones were removed by F. Turville-Petre) date from 43,000/42,000–28,000 bp (uncalibrated). The lowest deposits in the cave, namely units XVI through XIV, are predominantly natural accumulations, with virtually no anthropogenic contributions. Most of the overlying ashy sediments from units XIII through V result from the presence and activity of humans—the making and use of stone tools and hearths, the transport of fire wood, the utilization of plants for bedding and food, and the dumping of daily garbage. There is some evidence for infrequent denning by hyenas.